Istria has more to offer than beaches and beautiful coastal town, in the mainland of Istria a number of interesting hilltop towns can be found, and this part of the peninsula is for sure worthwhile seeing. My recommendation is to visit the following towns: Hum, Motovun, Pazin, Buzet and Groznjan, which is maybe a bit ambitious if you want to do it in one day, but with a car and early departure it is although possible. From Pula you take the Istrian Epsilon (main road in Istria) to Pazin, which is the first stop of the day, Pazin is about 54 km from Pula, which is about 45 minutes drive, where you for sure should see the “Pazin Chasm“, and the Pazin Castle. From Pazin have a 30 minutes drive to the city Hum, which is the Guinness world record holder of the title as the worlds smallest town, the city has a population of only 17 people. 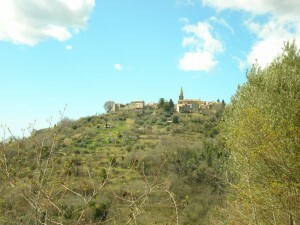 From Hum, the trip continues to Buzet, the capital of the „Truffle region“, here you should take a walk in the old town. 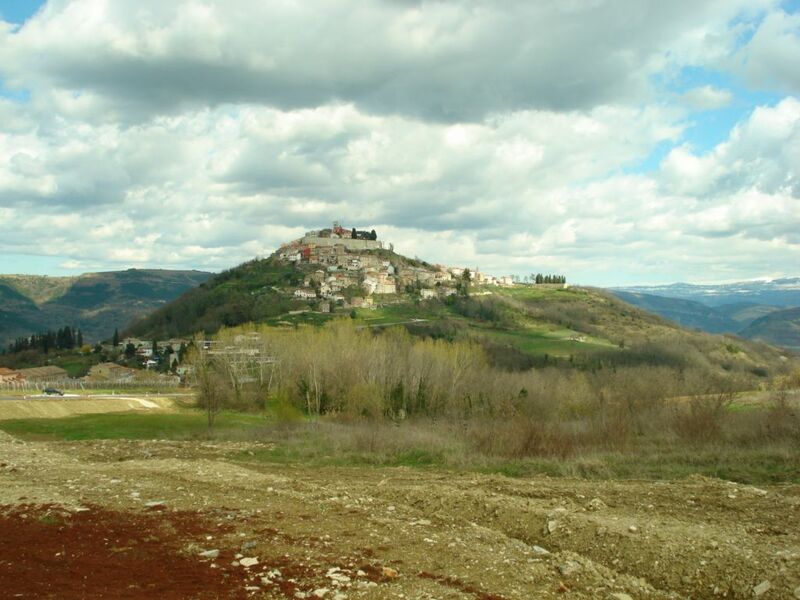 From Buzet you should continue the trip to Motovun, one of the most beautiful hill top towns in Croatia, in Motovun you should take a walk on the wall surrounding the old town part, which takes about 40 minutes. At this point of time you most probably also start to feel a bit of hungry, luckily there are plenty of good restaurants in Motovun, where you among other can enjoy dishes with local truffle. The last hill top you should visit on the roundtrip is Groznjan, the city is also often referred to as the artist city, do to the many galleries and cultural events which takes place during the summer season. Once you have seen Groznjan, you get back on the Istrian Epsilon and head back to Pula. Hill top round trip facts. If you don’s wish to do the tour on your own, you also have the option to join an excursion, which will take you to some of the towns I have mentioned above, ask in one of the local travel agencies, upon your arrival, what they currently have to offer. Click on the map below to find more information about the towns i mention above, if you should have any question about the hilltop roundtrip, please feel free to use the comment field below.